Highly selective journals, in particular, argued that they have high internal costs that couldn’t reasonably be recouped in a fully open-access model, and that cutting costs would risk reducing journals’ quality. Some publishing companies also urged the initiative to reconsider its policy on hybrid journals. But their arguments have been rebuffed by Robert-Jan Smits, the European Commission’s open-access envoy and architect of Plan S, to which 18 research funders have so far signed up. In the current political climate, it seems how things are expressed has been pushed to the forefront of the debate. It starts with the strange and rambling idiolect of President Donald Trump—which The Guardian describes as “redundant, formulaic, aggressive, “post-literate”—full of bland contradictions, polarizing generalizations, statements sometimes inconsistent with reality (and some, we assume, are good statements). Dearest readers on the Internet, The Active Librarian has released its 2nd issue. We hope you'll take some time to peruse its contents. Josh Sopiarz reports on a topic all librarians must at some point consider--veteran outreach. His comprehensive list of veteran-specific resources alone is worth the price of admission (well, if there were a price of admission). Forrest Foster and Carl Leak describe their experiences with organizing an open-mic event. Data was collected from the Altmetric database on November 16 2015 and a downloadable file can be found on figshare. News and comment pieces are excluded, as are articles that were published before November 2014. Remember, this list in no way reflects the quality (high or low) of the articles included; it just provides an indicator of what was widely discussed and shared online. Those ponderings eventually spurred the creation of Matters ( https://www.sciencematters.io/ ). Launched on 5 November, the open-access online journal aims to boost integrity and speed the communication of science by allowing researchers to publish discrete observations rather than complete stories. Acceptance and publication times are not the only factor to consider when selecting a journal. Traditionally, the impact factor — average citations for articles published in the two preceding years — has been a primary criteria. However, any single metric is insufficient to make an informed decision on where to submit. A host of other journal attributes matter such as readership, aesthetics, communication, friendliness, flexibility, features, and web nativity. I propose a journal review service. Like yelp for scientific publishing except that author reviews will be CC-BY. 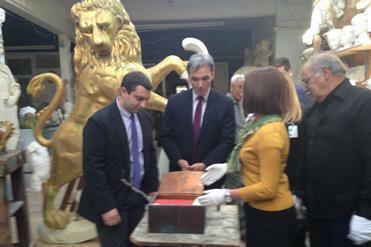 A copper box sealed for over 113 years inside the head of a piece of statuary, a lion, at the Old State House in Boston has finally been opened. Inside... there was a surprise book with a red cover...but we don't know the title or contents. Historians deem the book and other contents of the box too fragile to be quickly examined. They will need to be examined in a temperature and pressure controlled environment. The society first learned of the possible existence of the time capsule three years ago from the great-great-granddaughter of Samuel Rogers, a craftsman who had worked on renovations to the building and was believed to have placed the box in the lion's head and catalogued its contents. A 1901 article from The Boston Globe surfaced later, alluding to contents of a copper box "which will prove interesting when the box is opened many years hence." Would You Want to Work In a Bookless Library? Story about the latest bookless library from LJ. And no, The Annoyed Librarian would NOT want to work in one. Read more about Would You Want to Work In a Bookless Library? The two-day event, called the MTA Zine Residency, had been organized by a librarian and an archivist at the Barnard College library, which they said has the largest circulating collection of zines in an academic library. 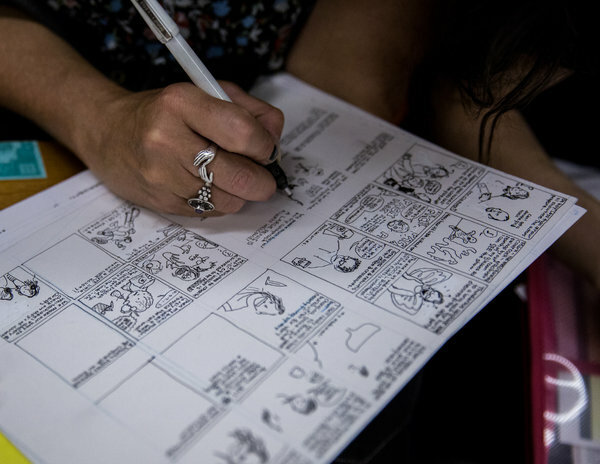 After producing zines on the F train, the group was planning to reconvene Monday on the Staten Island Ferry to put the finishing touches on their creations. The organizers of the residency said they hoped that the participants would sell or donate copies of their completed zines to the Barnard collection. Jenna Freedman, the zine librarian at Barnard, said that the relative quiet and lack of phone and Internet connections made the subway a natural place to compose zines.